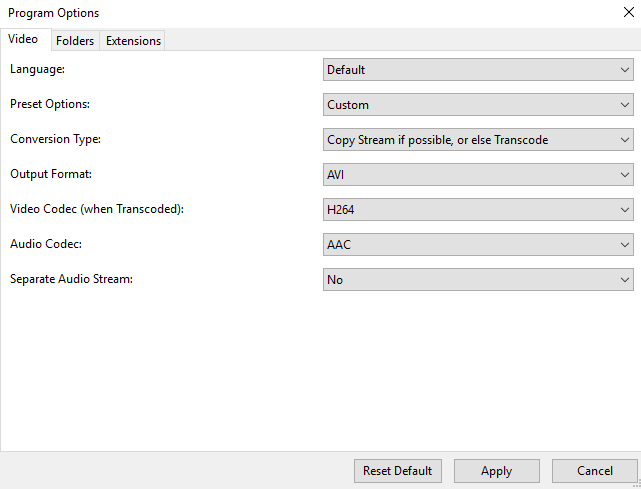 By default, DVRConv allows you to pick and choose your preferred conversion settings. In order to lock these settings so a local user can’t change them, simply choose the settings you’d like to maintain within Program Options and click Apply. It’s important to note that you must have administrator privileges in order to perform this task. These settings are then automatically saved in the DVRConv folder inside your Documents under Settings. 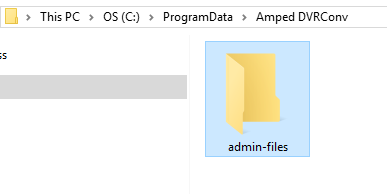 Inside ProgramData you’ll see a folder for Amped DVRConv and inside that is another folder called admin-files. Simply paste the settings.ads file you copied earlier into this folder. Now, when any standard users start DVRConv, these settings will take precedence and they won’t be able to be changed unless an administrator does so. If settings.ads is removed from the admin-files folder, standard or local users will be able to customize their settings once more. This is a great feature if you are a network administrator in charge of a large deployment of DVRConv applications and want more control over how your users manage their conversions or if you are installing the software on a shared computer with multiple users. 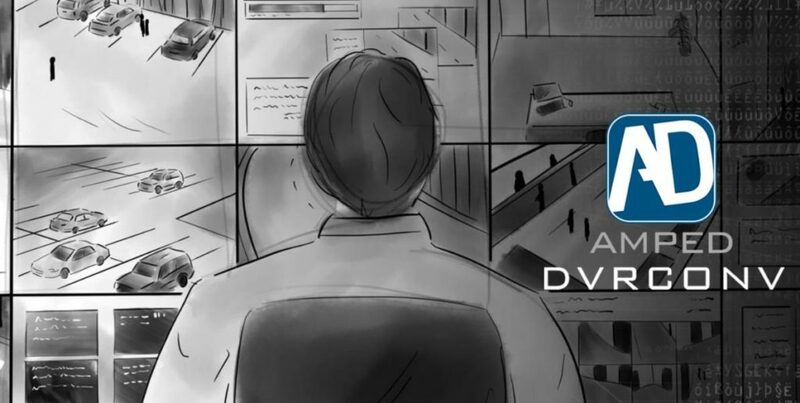 We’ve updated the DVRConv manual to include a list of supported formats, including conversion categorization as well as the differences between the previous and current release versions. This is found by clicking Help in DVRConv and navigating to Supported Formats within the manual. On a final note, we’ve added further conversion support for 1 new file format and 4 new variations of already supported formats. If you have an active support plan, you can update straight away by going into the menu “About” > “Check for Updates” within Amped DVRConv. If you need to renew your SMS plan, please contact us or one of our authorized partners.